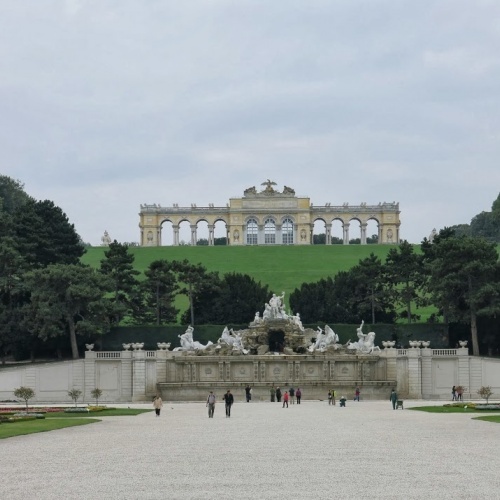 I got up pretty early this morning because I wanted to get out and see as much of Vienna as possible on my last day here. Since my jeans were still a little wet from the dryer fiasco yesterday I had to wear my hiking pants. It was definitely too cold to be wearing these outside. I walked to the big market across the street and got a cinnamon roll for breakfast and ate a couple clementines. 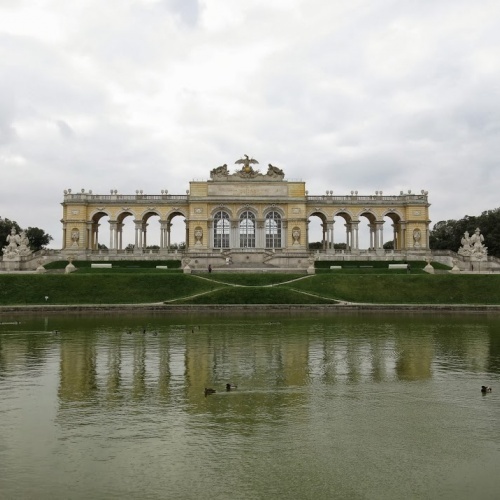 My first stop was Schobrunn Palace. 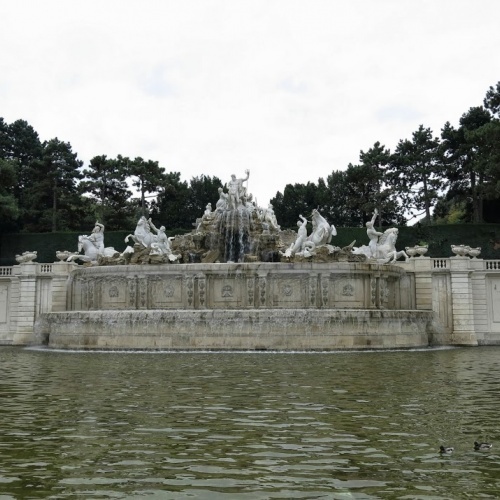 It's on the U-Bahn line that's just outside the hostel so I hopped on and got to the palace pretty quickly. In the morning, it was still overcast and pretty windy so I was getting really cold. I thought I had to pay for entrance to the gardens but it was actually free which was nice. I walked around for about an hour and finally got fed up with the cold so I headed back to the train and went to Prater where there's a big ferris wheel and parks. They were setting up a bunch of big beer gardens which unfortunately I wasn't able to partake of. It was still cold so I got back on the train to the station next to the hostel and then got a doner sandwich at the market. I was looking into getting a schnitzel but I didn't want to pay 13 euros for a flattened, breaded and deep fried piece of meat. I can get one back in Indy for a couple bucks if I really want one. After I ate and showered, the sun finally came out so I went out for a little walk around the same area I did yesterday. I was kinda hunting for a beer garden to hang out in but I couldn't find anything. All of the places that sold beer were a bit overpriced too. One interesting thing here is called Strum. It's basically a really low ABV wine that hasn't had a chance to ferment as long as most wines take. They sell it at most cafes here too. I was thinking about trying some but wasn't sure if 4%, incomplete wine was what I was looking for. Instead, I bought a couple Austrian beers from a local store and brought them back to the hostel to enjoy. Tomorrow I'll get up a little early and head to the airport to catch my flight to Florence. Once in Florence I have to get to Lucca where I'll be spending 4 nights. I've been looking forward to Italy for a long time. I'm glad it's finally almost here! The hostel doesn't have free breakfast so I went out and got some kind of stuffed pastry around the corner. I wasn't sure what was in it but it ended up being some kind of tasty cream. After that I set off to go find the tourist office to pick up a Use-It guide that I've come to appreciate when they're available. The office was closed but they had a bunch of the guides available outside so I grabbed one and set off on the walk the guide suggests. 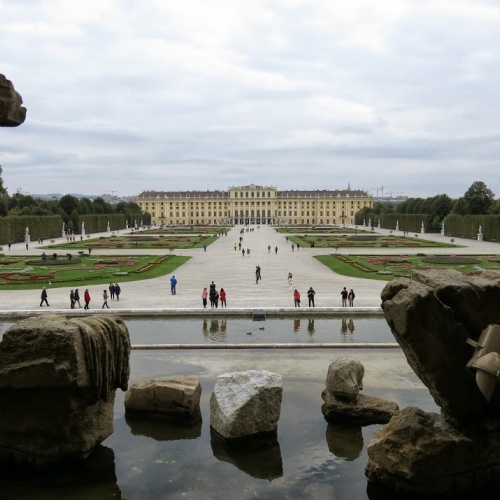 They called it the "Too much history" walk and it takes you by a lot of the main sights to see on the Ringstrasse. Since I started pretty early in the morning, the sun was rather harsh and made for some bad photos. It was really beautiful walking around though, even if I wasn't able to capture it. The buildings are massive and they're usually surrounded by big gardens to relax in. Even though they were built to look old, pretty much all the main sights at the beginning of the walk were built in the late 19th century. I went into some of the famous coffee houses where people like Sigmund Freud hung out. I didn't end up getting any coffee though since spending what I normally spend on an entire day's worth of food for one cup of coffee didn't seem like a great idea. I also walked by Sigmund Freud's house on the way to the Danube Canal. The canal walk is known for and was filled with graffiti. I continued past the Ruprechtskirche (the oldest church in Vienna, built in 740) and then headed into a busy cafe/restaurant/shopping area. The guide mentioned an extremely hidden hole in the wall microbrewery that makes killer wood fired stuffed pitas. It sounded delicious so I spent about 20 minutes hunting it down. The streets are like a maze and after making a few loops through the general area I thought it was, I found it. The place is called Kolar and it really is on a random street that is hidden really well. I went in and there were only two people there waiting to pick up some food. The ambiance of the place was great. It was too dark inside to take photos but imagine an old dark cellar with low domed/arced ceilings, firewood stacked along an entire wall and a blazing wood fired oven in the corner next to the bar filled with their own beers and you're starting to get the idea. At first I just ordered their Dunkel (dark) beer and then looked at the menu. The entire thing was in German and I really had no idea what was what but I was able to figure out they have a daily special each day. In my rough translations I was able to figure out it was prosciutto, spinach, tomato, parmesan and "cream". I ordered one and a few minutes later it came out. It was delicious and completely filling. As I was drinking my beer and eating my food, more and more people flooded in. By the time I left there were at least a dozen people in the tiny area ordering food and drinks. 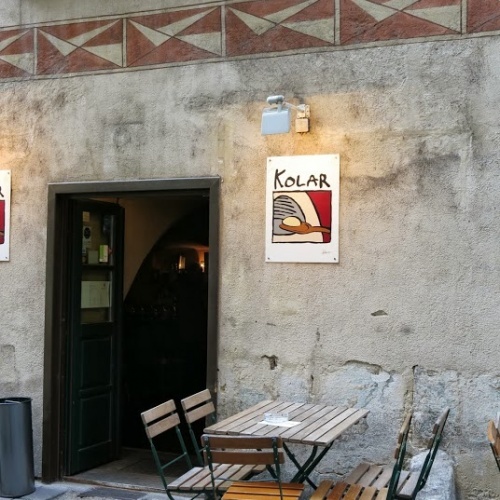 If you ever find yourself in Vienna, definitely check out Kolar. 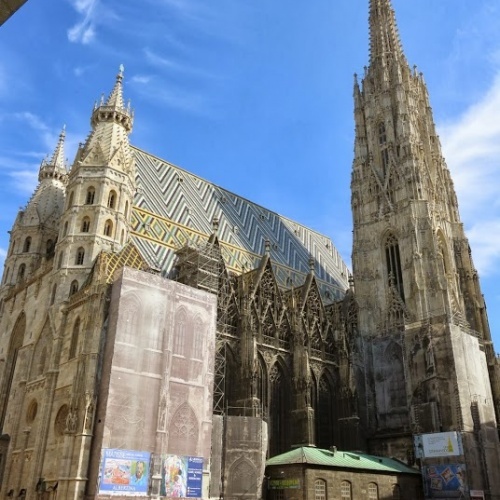 There wasn't too much left on the walking route but it did bring me through some really ritzy shopping areas and finally ended at the Stephansdom church. It's hard to capture these massive buildings in one shot since all the buildings are so close together. The church dates back to 1170 and has some really neat architecture. I wandered around a little bit more then came back to the hostel. They have washers and dryers downstairs so I wanted to take advantage of those before they were all used. I showered then went down and threw everything in the washing machine. Unfortunately the dryer malfunctioned or something when I was upstairs waiting and everything came out still pretty wet. All my clothes are currently drying upstairs in the room, lol. I'm hoping my jeans are dry by the morning since I don't have any dry long pants to wear now. I cooked up some dinner (mixed veggies and italian grilled cheese). I love how easy and good some simple meals can be. 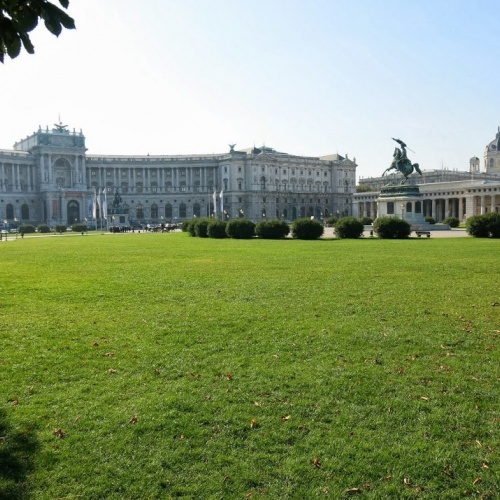 I have another full day to spend here in Vienna tomorrow and I'm not sure what I'm going to do yet. I might try to find a free walking tour or just go explore some of the markets. One of the largest and oldest markets in Vienna is literally outside the hostel. I also need to hunt down some schnitzel before I leave. Today I left Prague and boarded a train to Vienna. I slept in pretty late today (9 is actually considered sleeping in for me on this trip, lol). After breakfast I downloaded and watched the series finale of Breaking Bad. It did a really good job of wrapping everything up and was immensely better than the Dexter series finale. I hung out at the hostel until a little after 11 when I left for the train station. I had some time to kill so I ate lunch and hung out there. The train was delayed a little bit and I ended up talking to a guy from the area who was interested in how to build a website. He was pretty interesting and I found out he spoke 6 different languages and was fascinated with English. On the train I made the rookie mistake of sitting on the sunny side and was blinded by the sun for 3/4 of the trip before it hid behind trees and clouds. I spent most of the ride reading or looking out the window. 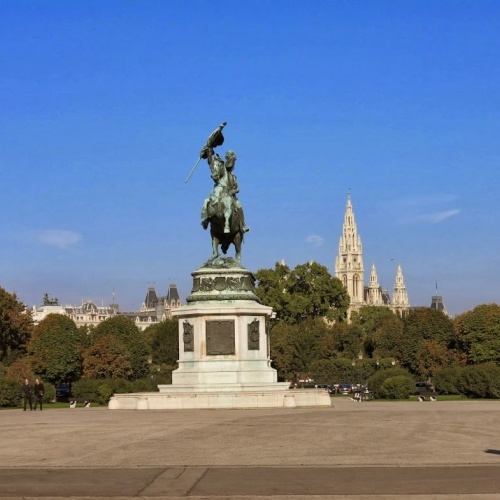 Once in Vienna, I got a 72 hour bahn card and jumped on the metro to the hostel. The hostel is actually one of those giant ones that houses a ton of people. I didn't get into the hostel until around 7 and by the time I went out searching for food most of the groceries were closed down. I found one that stayed open until 7:30 and picked up some bread, cheese and deli meat for dinner and breakfast tomorrow. I found out that croissants are actually an Austrian creation so I'm going to make sure I eat one here. I also can't leave Vienna without having some schnitzel (basically what breaded/fried pork tenderloin is based on).